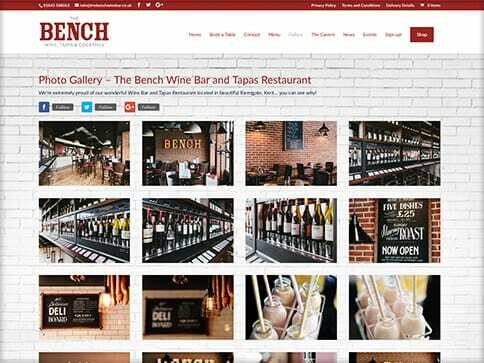 The Bench wine bar situated in Ramsgate, Kent required full branding, photography, printing and a website to show off their unique wine vending systems and tapas style restaurant. The design team at Nettl have been working with this customer on other projects so were the natural choice to create the new website. Nettl Bournemouth now manage the marketing and maintenance of the website through our monthly concierge package. 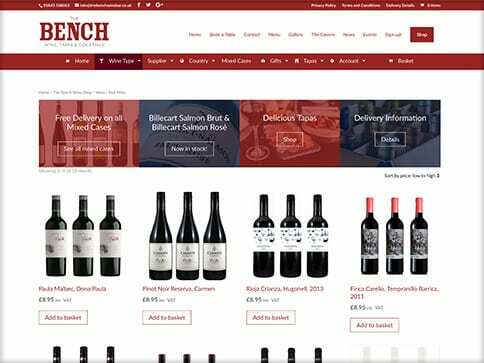 We have also now developed an online wine shop for them using woocommerce.